About a month ago we went to Brighton to see a couple of friends. It is also a bit difficult to catch up with people when everybody has varying schedules, availability and are dotted in multiple locations so when there is a chance it is always a fabulous time. The weather was glorious on the day we went and it seemed like one of the first times of spring choosing to show its face. Of course being by the sea meant there was a gentle breeze but the sun and general atmosphere counteracted that and so much so I was pleased to have opted for a hoody over a coat for the day. We went for a bite to eat in a little pub that our friends had visited before. The lighting was subdued and made everything red but did little to give that impression of cosy and warm and especially when sound seemed to whizz around the place especially from the open-windowed kitchen. 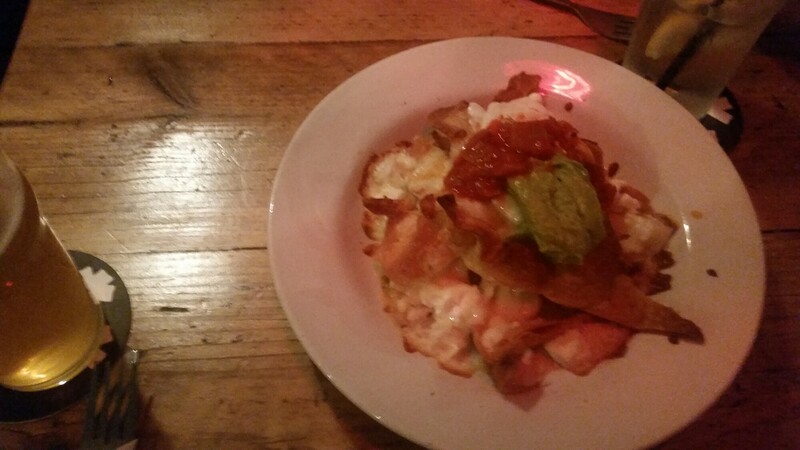 My partner and I opted to share some three cheese nachos which were absolutely delicious as they included my readily available favourite cheese; goats cheese (sheeps cheese is my super favourite but without a trip to Harrods or a Central London cheese shop it is pretty hard to get hold of). 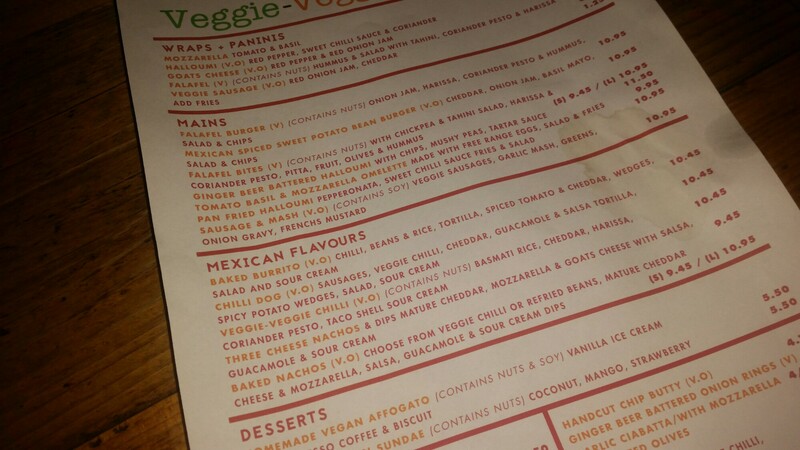 So yeah I would 100% recommend the three cheese nachos from The Prince George, a veggie and vegan pub in Brighton, just choose your seat for the right level of lighting and comfort to make it a perfect meal. I sound grumpy about it but I just wish they put some cushions on the seats yknow. 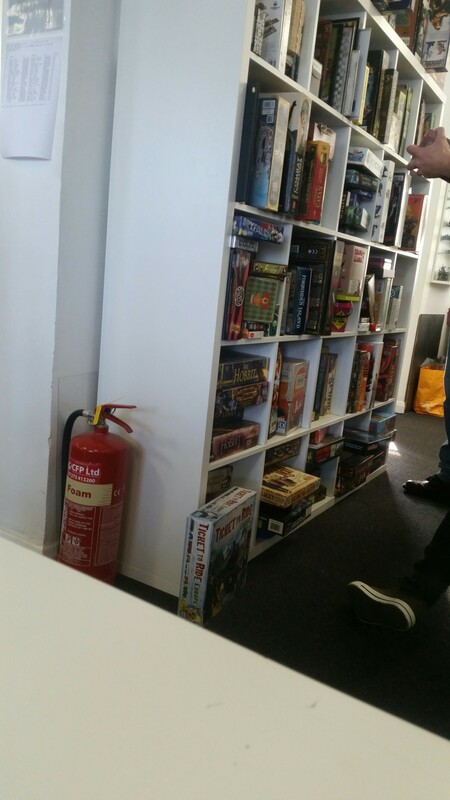 After a bit more wandering and chatting we headed to one of the board game places in Brighton. We love places like Dice Saloon but the nearest one to Croydon is Bromley which is an hour away on the bus and as much as we love boardgames we lack a community or friends to play them with so our options of game would be pretty limited (why do you think we play Twilight Struggle so often?!). 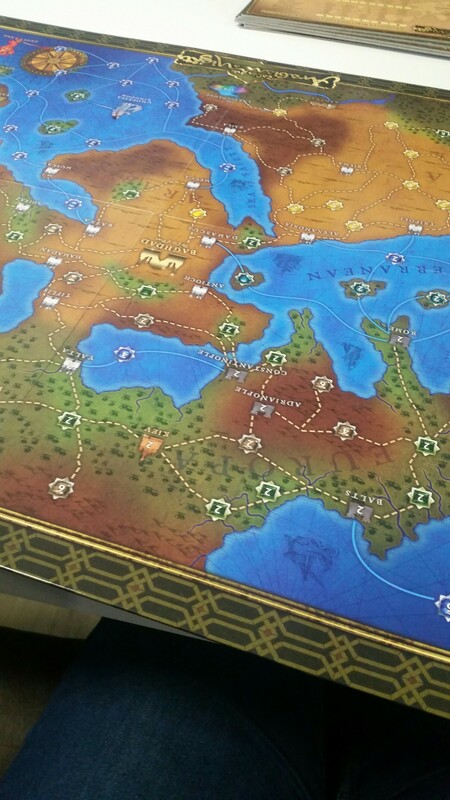 We played two games; Ticket to Ride Europe and then Arabian Nights. Turns out that they are just two more games for me to be terrible at. 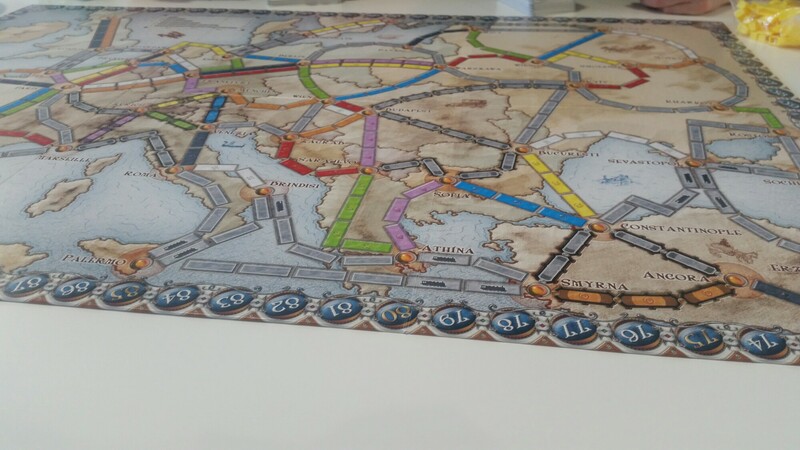 Ticket to Ride was great fun and something that is on my wishlist of things to purchase one day in the future. It did not involve too much thinking but just a bit of logic and simple keeping track of other peoples movements and let’s face it anything with colourful pieces is going to win me over as well. Arabian Nights was good fun too but involved a lot more reading, careful thinking of the rules and strategy and keeping track of every single thing that happens. It seems like the sort of game that once you get used to the way it works but I don’t really know if I have the attention span to sit down and figure it all out. A good way to pass a few hours if you do learn the rules and it’s a rainy day instead of pulling out the Monopoly! We had a great day out and catching up with friends. I had intended to take a few more photos but that did not exactly go to plan as we were too busy chatting and walking around. The above is just a tiny snapshot of what we got up to but three cheese nachos and Ticket To Ride Europe were certainly highlights on top of seeing the people that took us to Brighton in the first place (especially as we hadn’t visited in ages). This entry was posted in Lifestyle and tagged beach, boardgame, boardgames, Brighton, catchup, Cheese, day in the life, day out, day trip, dinner, friends, lblog, lblogger, lbloggers, life, Lifestyle, lifestyle blog, lifestyle blogger, lifestyle bloggers, lunch, nachos, pub, spring, sunny, train, travel, vegetarian, winter. Bookmark the permalink.